Colour my world. Isn't that a lovely statement if we lived in dreary super gloomy British weather? In my case, I wasn't too pleased last week when someone decided to "colour my world" yellow at dinner, which resulted in these less than stellar pictures. Don't get me wrong...the food was great and so was the wonderful company I was keeping but my pictures looked horribly jaundiced from the sunshine yellow tablecloth. Back to food as that's why you all read this blog. I was introduced to this place by a newly found friend J. 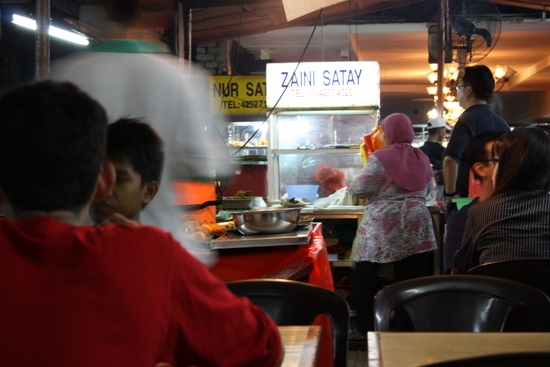 Like good children, we flocked to this place just off the busy MRR2 from different directions...some from KL city centre, Cheras and me from far flung (and maybe another country where passport is required) Shah Alam. Being super efficient, J had got us all kitted up with maps hence we had no excuse to be lost. Incidentally, J also paid for dinner (thanks again) so this meant that I don't have any prices to quote. Dinner started off with a home cooked chicken soup. Boiled for 4 hours, the soup was sweet from the use of white cabbage, chicken feet (including one whole chicken) and Chinese ham. 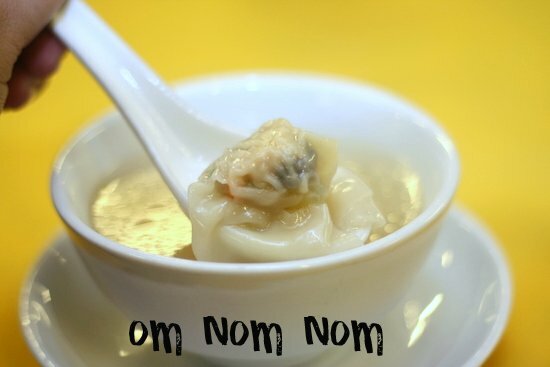 We slurped the boiling hot soup together with silky smooth homemade wantans. The whole dinner was served like a Western meal, course by course with individual servings. 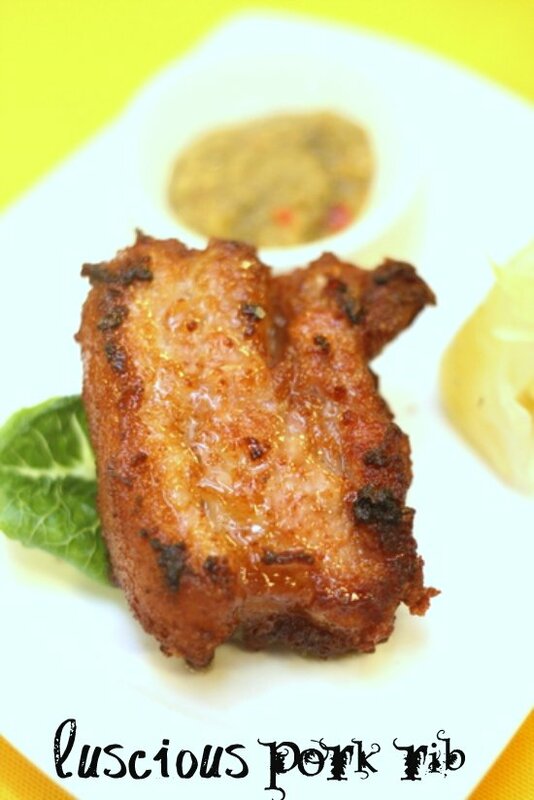 Once the tummy was well lined with the heartwarming soup, we moved on to the aromatic garlic pork rib. The meat had a lovely brown crusty exterior that hid succulent layers of meat and fat. 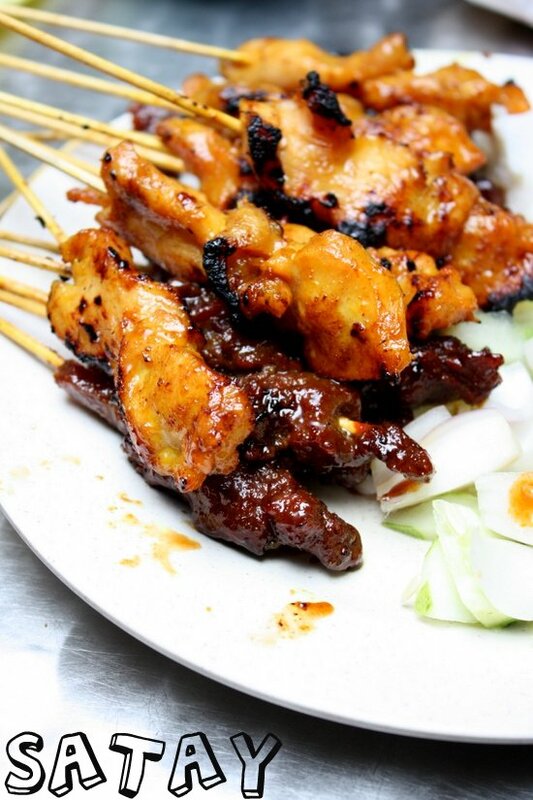 I enjoyed this tremendously with the spicy and slighty tangy green chilli dip on the side. 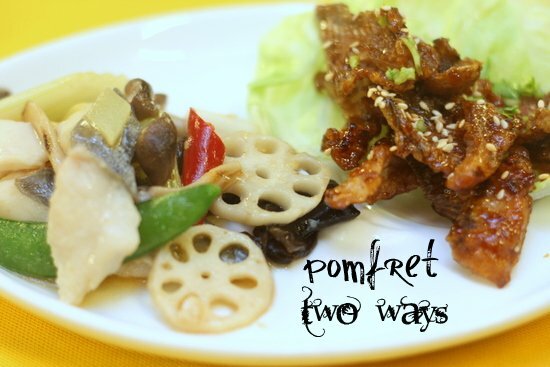 Next course was pomfret cooked two ways - the slices fried with vegetables, while the bones (nothing is ever wasted) were deep fried and coated in a sweet tasting soy sauce. I enjoyed the bones best as they were cut in small pieces and well fried to be so crunchy that I didn't get any large pieces. Really enjoyable with the not overpowering sweet but aromatic sauce. 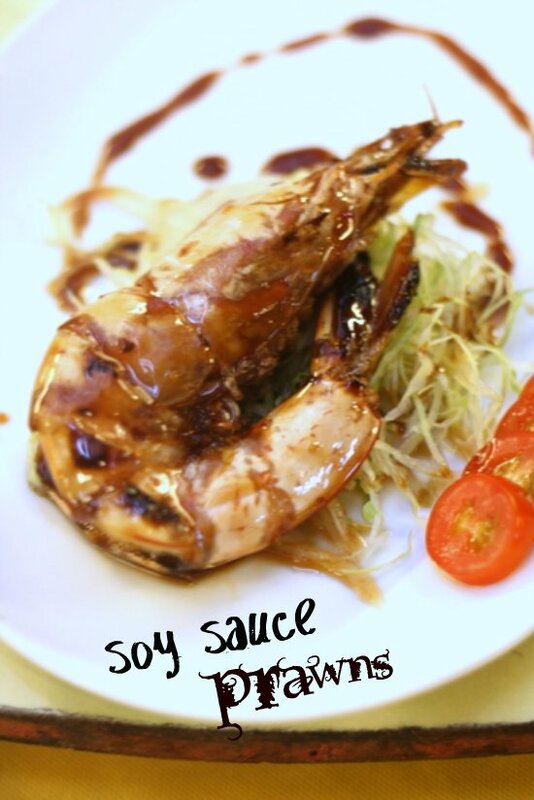 We moved on to the crustaceans, the classic soy sauce pan fried prawns. While the prawns were fresh, I felt the sauce was a little lacking of its sweet caramelised taste I usually associate this dish with. 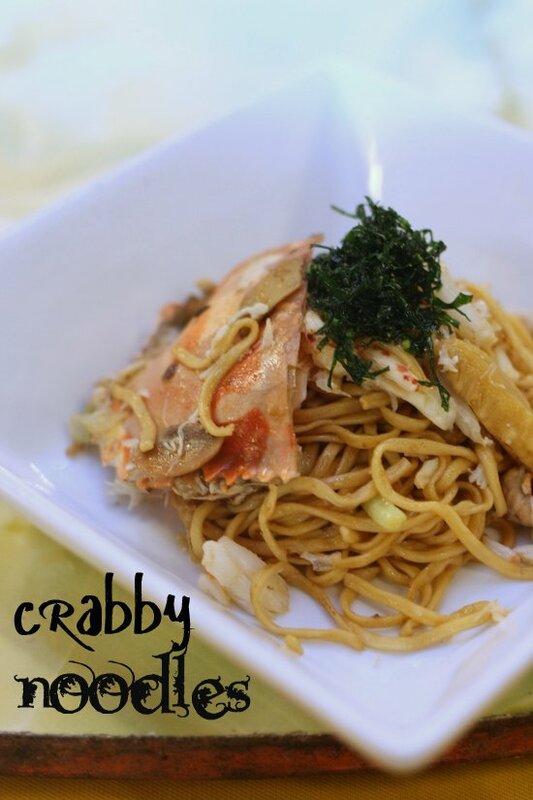 As the tummies were quickly filling up, we finished off with a fried yee mee with crab meat. Luckily they had shelled them, as I can imagine I'll be darn lazy to spend the later part of the evening doing the hard work. The noodles are paired with a deep fried kailan leaves, shredded to resemble seaweed. We end the meal with dessert in the form of a tong sui (sweet broth) and some complimentary gui ling gao. It was a pretty satisfying meal that had me thinking I should return to do justice to their crabs. I wonder if they do a mean salted egg yolk crab version or a luscious butter coated one. Oops, my mouth is now watering and my tummy starts to rumble for some crab action. The heat has been stifling especially the afternoons before the rain clouds break into a request for Rihanna's Umbrella song. It has been so hot that I've been craving for some cold relief in the form of The Last Polka's ice cream. The dynamic gal power of May Yee and Ee Vee are my go-to gals for innovative flavours that remind me of my good ole school days...Horlicks, Nutella, Teh Tarik and the best ever lusciousness, their new flavour Salted Gula Melaka. While I've been indulging in their cool rescue packs available at Jaya One's The Bee, Marmalade's outlets (Mont Kiara and Bangsar) and now Whisk Expresso Bar at Empire Subang, I've never been to their scoop shop. Thus, one weekend we made our pilgrimage there to discover cool epiphany. 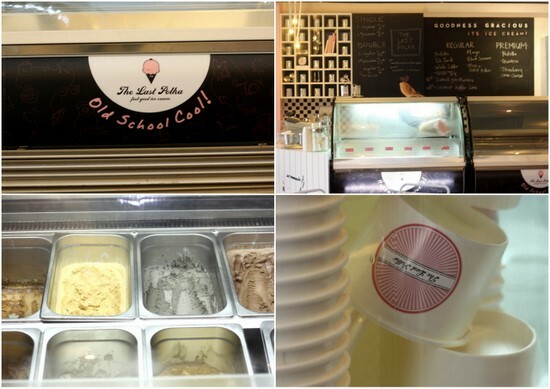 Their scoop shop is located within the trendy and minimalist confines of The V Cafe. Here you get to satisfy all your greedy cravings since they offer you double scoops (RM10.80 for the regular flavours, RM12.80 for premium flavours). Twice the fun I reckon as we both debate on what to pick. He ends up with his new cool love, the Salted Gula Melaka and a newbie to us , the Coconut Kaffir Lime. I reach for old favourites like Nutella and Horlicks. 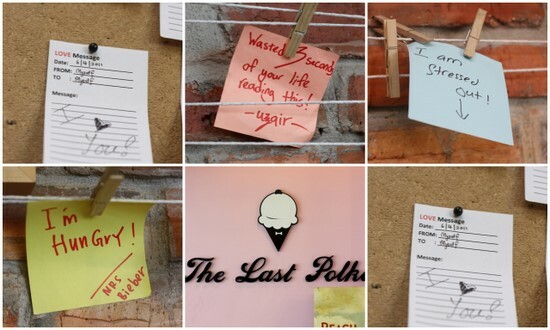 The whole set up at the cafe is kinda quirky with all those whimsy college touches like a love messageboard and even a shoutout Post-It board. Even though it had a new school feel, there was old school touches with Bon Jovi blaring away on the speakers. 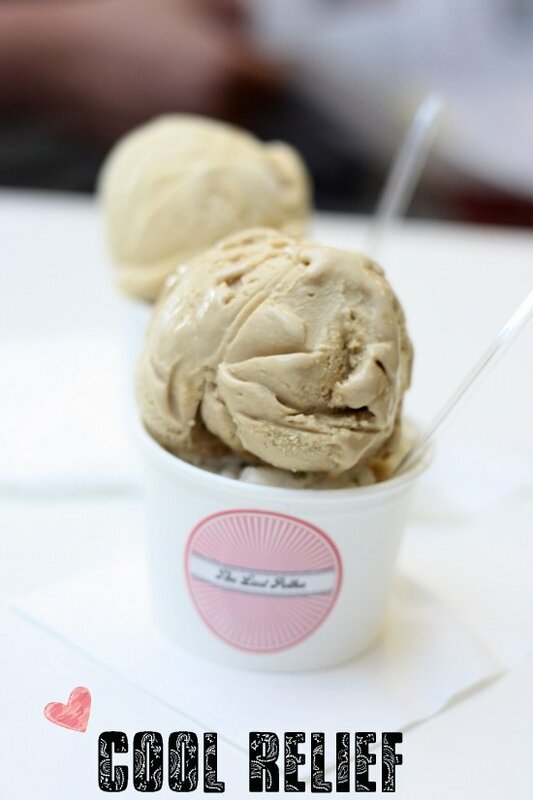 For those who love the gals' ice-cream, rumour has it (just like how Adele sings it), they're also venturing into the tea business as they'll be supplying tea flavoured ice creams (satu Teh Tarik and one green tea please) to The Tea Republic at Bangsar Shopping Centre. Another great reason to hangout at that cool quiet cafe tucked in one corner at the mall to indulge in some tea madness. 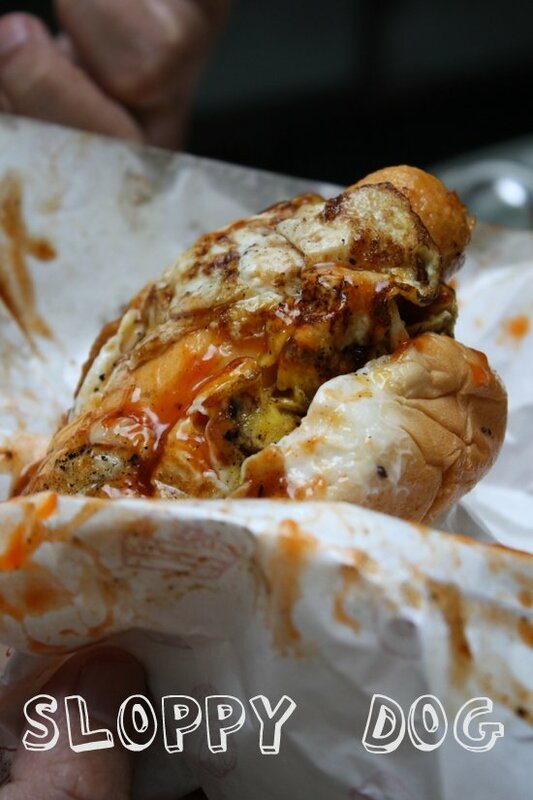 I reckon this calls for a revisit to indulge some more...so stay tuned for more cool delights. In the meantime, if one can't break into The Last Polka ice cream for emergency cold relief, I guess we should all become vampires...sleep during the hot days and emerge refreshed at night to party away. Not sure about that blood sucking part though but I'm sure you'll figure it out. Catch more pictures in my Flickr set. For order enquiries, check their website and their facebook page. 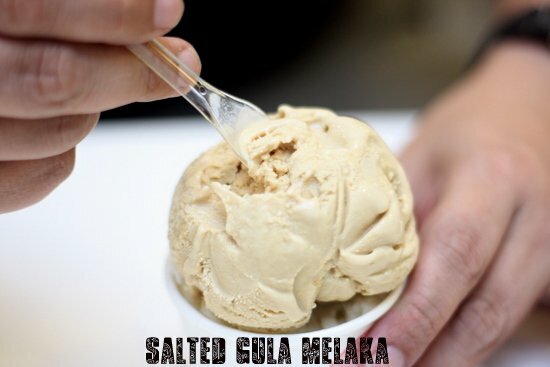 Flavours include Salted Gula Melaka, Coconut Kaffir Lime, Mango, Strawberry Cheesecake, Guinness, Nutella, Horlicks, Malt and Peanut Butter, Teh Tarik, White Coffee, Green Tea and Black Sesame. Thus a bright Monday morning and I'm greeted with this laughable headline in the Star's newly revamped paper..."Malaysia ranked world's 10th largest consumer of alcohol". Delving deeper into the story, it goes on to state that the WHO (nope it's not the dreaded Dr. Who but the World Health Organisation) claims that "Malaysia has been named as the world's 10th largest consumer of alcohol despite its small population and size". The article goes on to quote that Malaysians spent over USD500 million on alcohol. Strangely enough after combing through the WHO's website and the official report for 2011, there is no sign or indication of that particular startling fact. Even as I looked through the world's alcohol consumption figures, there's no way Malaysia could make the top ten since the European countries' figures were in double digit. Incredibly strange but since I'm no authority on this, I won't be making any press statements on my discoveries! One does hope that a higher authority comes forth to set the truth right on the facts. 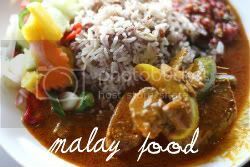 One fact does remain evident from looking at those statistics, Malaysians seem to have an hefty appetite for beer, followed by spirits and only a small percentage of wine. I guess I must be one of the exceptions since I do prefer wine over beer. 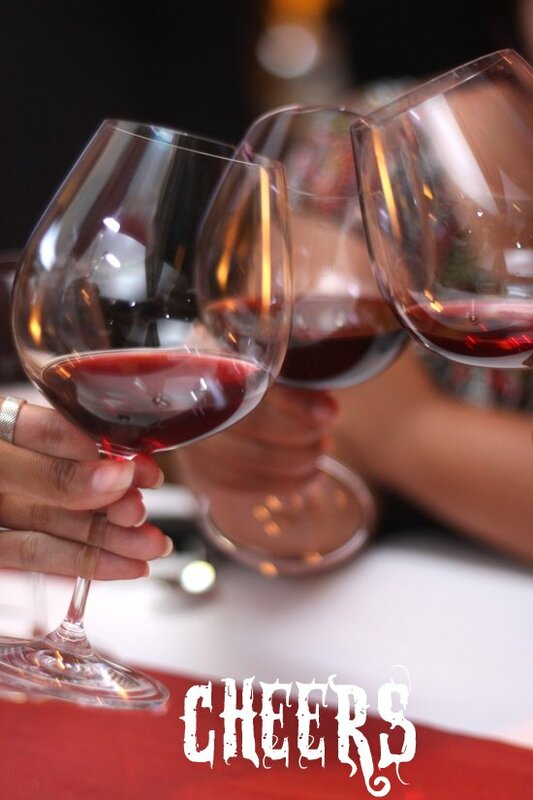 This love for wine saw me make one of my rare exceptions to take up Aly's Wonderland's invitation to savour New Zealand's Astrolabe wines. I admit I envisioned images of Astroboy or some cosmic adventures. Turns out the owner Simon Waghorn took up the name because astrolabe refers to a navigation tool and coincidentally it was also the name of a ship that travelled on the Marlborough coast where the vineyards of Astrolabe are located. 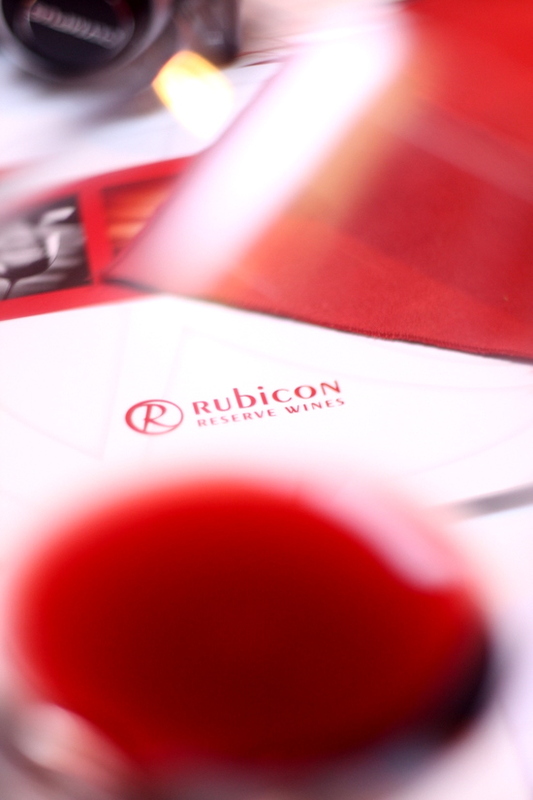 It was the Kiwi wine's debut in Kuala Lumpur orchestrated by its Asian distributor, Singapore based Rubicon Reserve Wines. 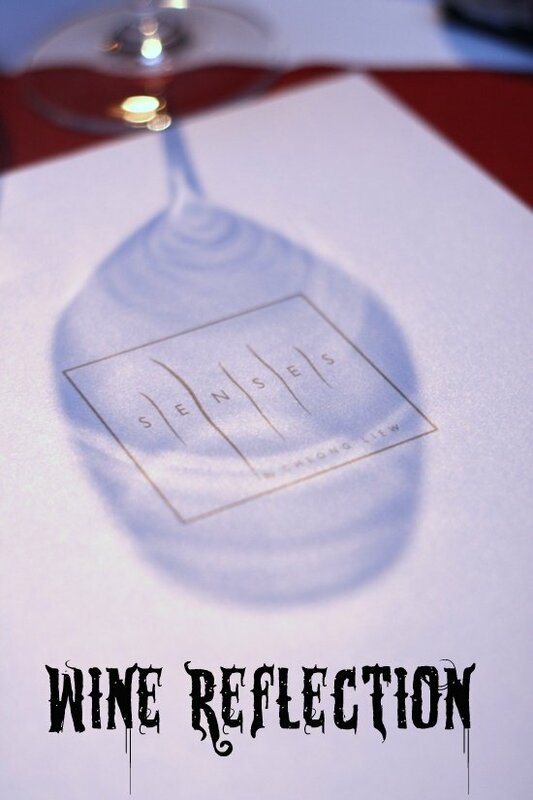 They aptly chose Senses at Kuala Lumpur Hilton for their debutante dinner since the wines will only be available at that hotel. Good for us too since dinner was concocted by the brilliant Michael Elfwing. I was looking forward to tasting the wines, since they had already swept many awards for its Sauvignon Blanc. Starting off the dinner was an informal cocktail hour to break the ice, where we (tried) to elegantly juggle champagne flutes while we slurped down freshly shucked New Zealand Pacific oysters drizzled with a tangy passionfruit dressing. Joining the fun for that night were A Whiff of Lemongrass and Fatboybakes, familiar faces from the floggers' circuit. 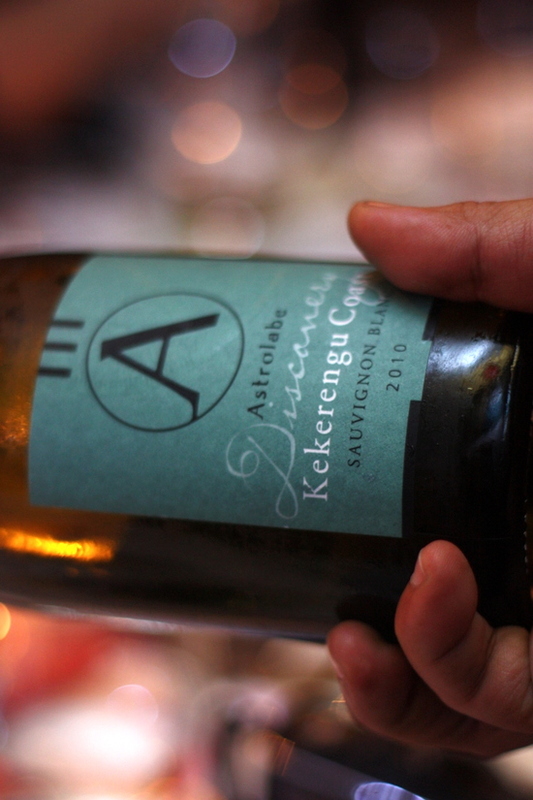 As Astrolabe does not make any sparkling wines, Rubicon served one of their other labels they distribute, an Austrian Szigeti Gruner Veltliner. I liked the slightly floral notes and the tiny bubbles of the wine. Subsequently, we adjourned to the table to start the meal. 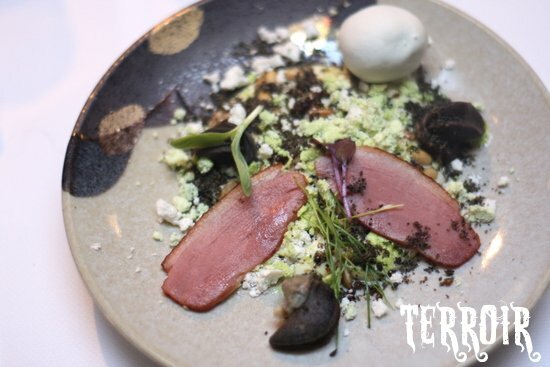 Firstly, it was a dish named Terroir that saw shucked escargots (so we didn't get to have any Pretty Woman moments), mingling with "soil", herbs, smoked duck breast slices and even an edible clay baked potato. Lovely especially when paired with the slightly sweet Astrolabe Pinot Gris 2009. Jason Yank, Astrolabe's general manager explained that they wanted an Italian styled wine with a lot more fruit. Next came a flight tasting of Astrolabe's various Sauvignon Blanc with different types of seafood. 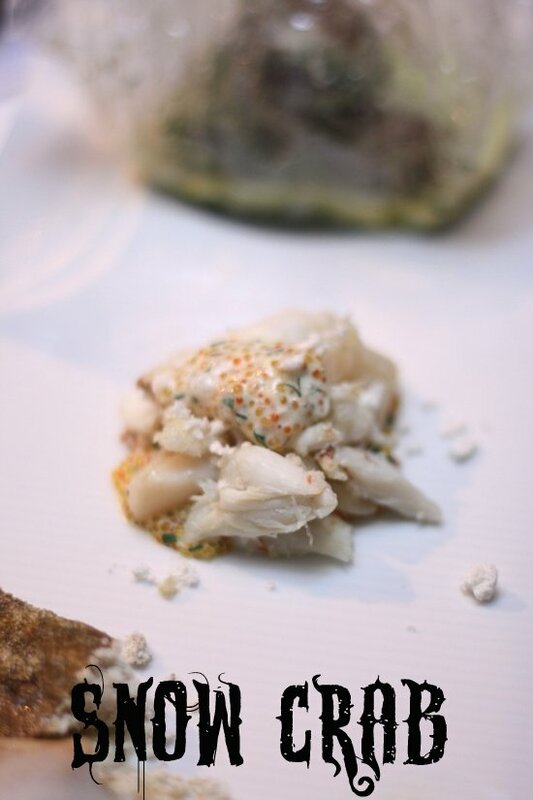 We started off with the Astrolabe Kekerengue Coast Sauvignon Blanc 2010 that was paired with little neck clams cooked en papillote with garlic and parsley. 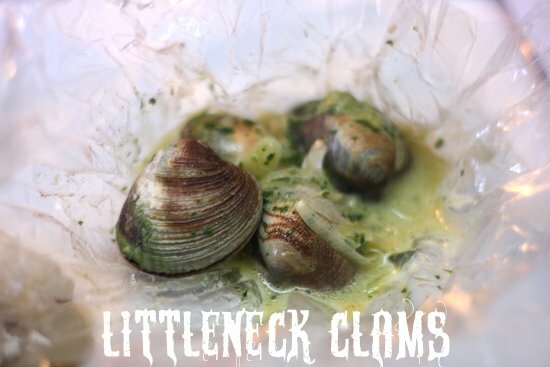 Instead of paper, a high heat resistant cling film was used to wrap the clams. The wine is made from grapes from the Kekerengue Coast, where it grows on limestone soil. Jason explains to us that the clay in the rocks pushes up the pH of the wine. This creates a very dry wine with salty hints. Most of the bloggers preferred the Kekerengue Coast Sauvignon Blanc but I preferred the middle one of the Astrolabe Awatere Sauvignon Blanc 2010 as it was more aromatic with hints of capsicum. It paired beautifully with the snow crab. Quite similar in nature and just a shade below the Awatere was the Astrolabe Voyage Sauvignon Blanc 2010. This was paired with a piece of gurnard fish with parsley puree and a shucked oyster. 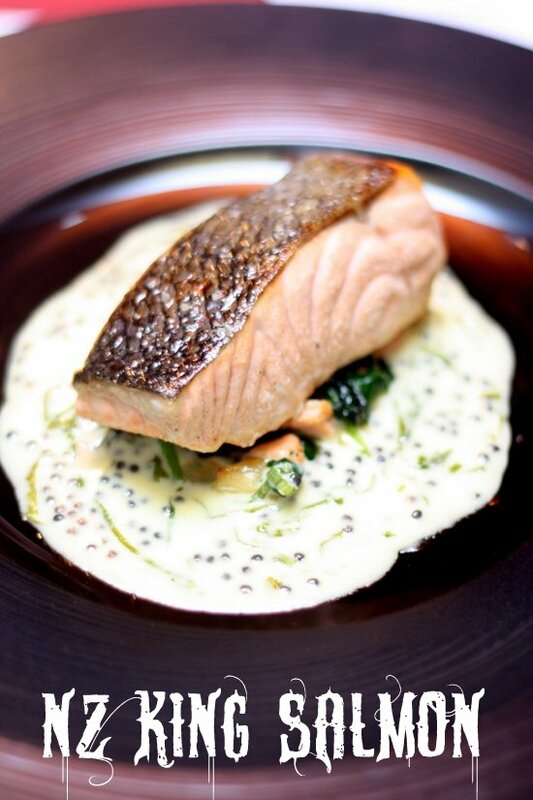 We follow up with a perfectly cooked New Zealand salmon quenelle with sorrel beurre blanc (butter sauce) that is paired with Astrolabe Chardonnay. I wasn't too enthusiastic about the fruity taste of the Chardonnay but loved the soft texture of the salmon. Next was the quail and veal paired with the earthy summer truffles and the only red wine for that night. The climate in this area only permits them to make Astrolabe Voyage Pinor Noir 2008, a pleasant red wine with loads of cherry flavours. 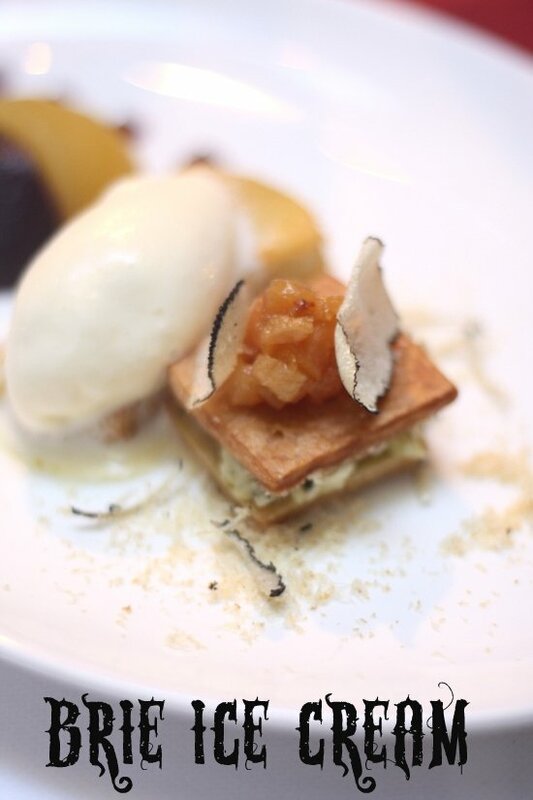 My favourite dish for the night was the brilliant dessert of pear & cheese with the Astrolabe Gewurztraminer 2009. 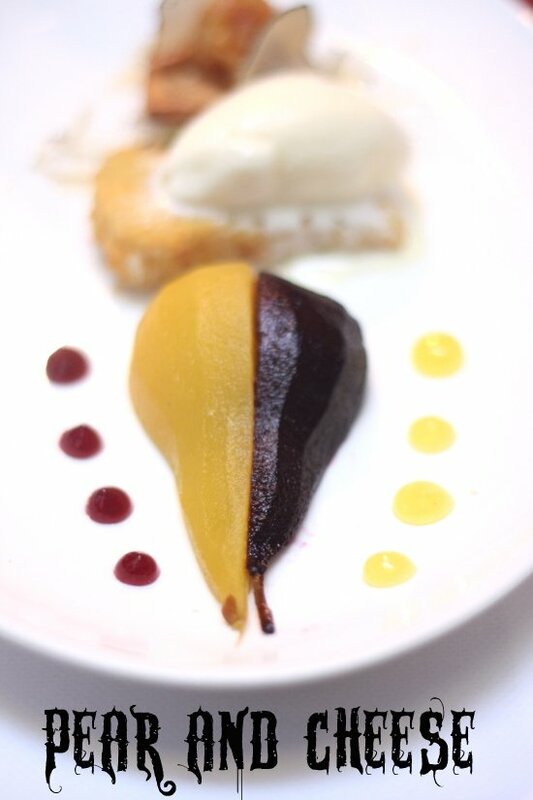 The dish was a trio of items, a duo of two types of poached pears, a luscious brie ice cream topping a brie pastry and a blue cheese puff pastry. 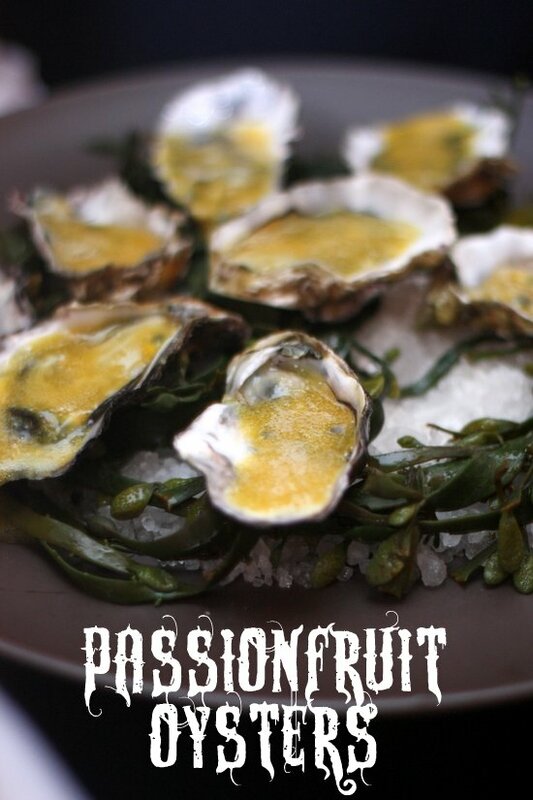 Simply gorgeous flavours that were mellowed out with the floral Gewurztraminer. Drank on its own, it would have been too sweet but it paired beautifully with the salty pungent notes of the blue cheese and brie. After tasting the wines, I must admit there's definitely a big market for their Sauvignon Blanc here especially with our Asian palate for fresh tasting wines. 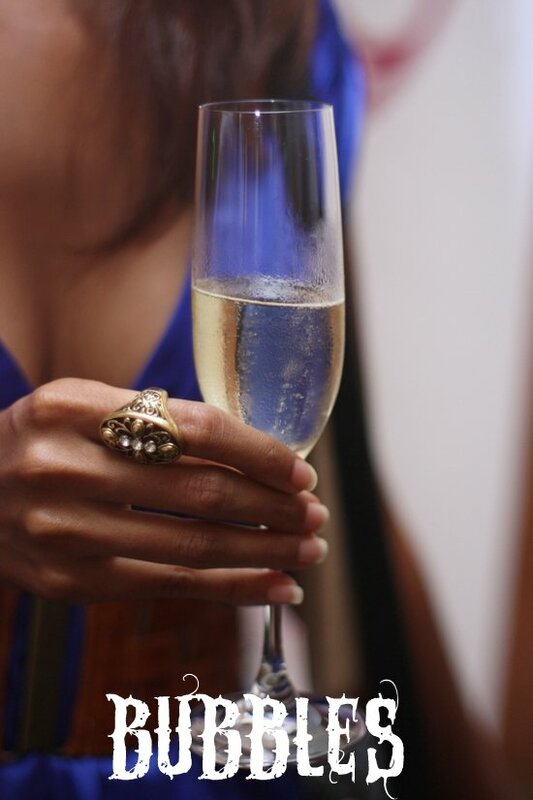 Currently, the wines are available exclusively to Kuala Lumpur Hilton and American Express Platinum cardholders. You can also order them straight from Rubicon, which will arrange for shipment to your doorstep. More pictures can be found on my Flickr set. 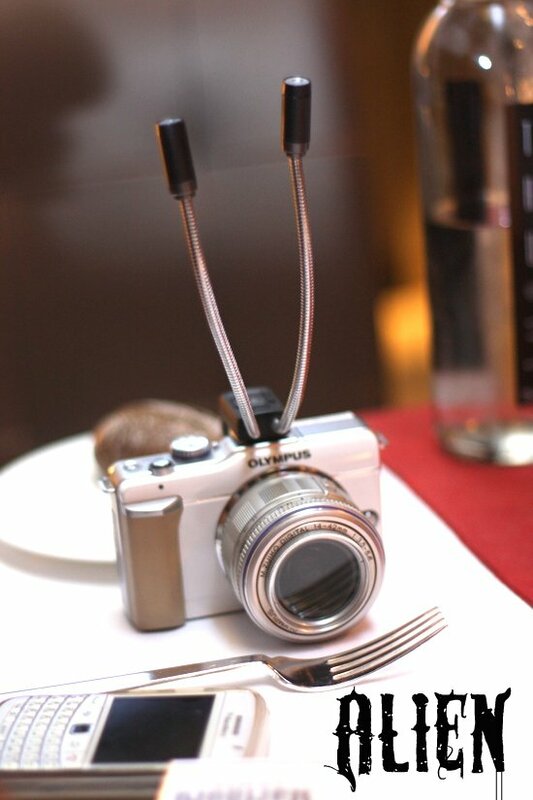 * Camera note: We were playing around with the new Macro Arm Light for the Olympus (RM225 promotion price, usual is RM250). 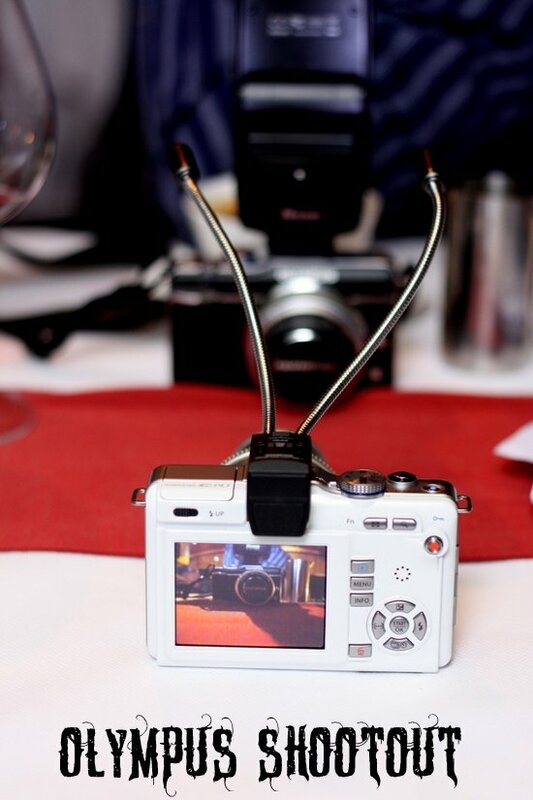 It looks like an alien with its movable antennas but we all love it since it is a big conversation piece. 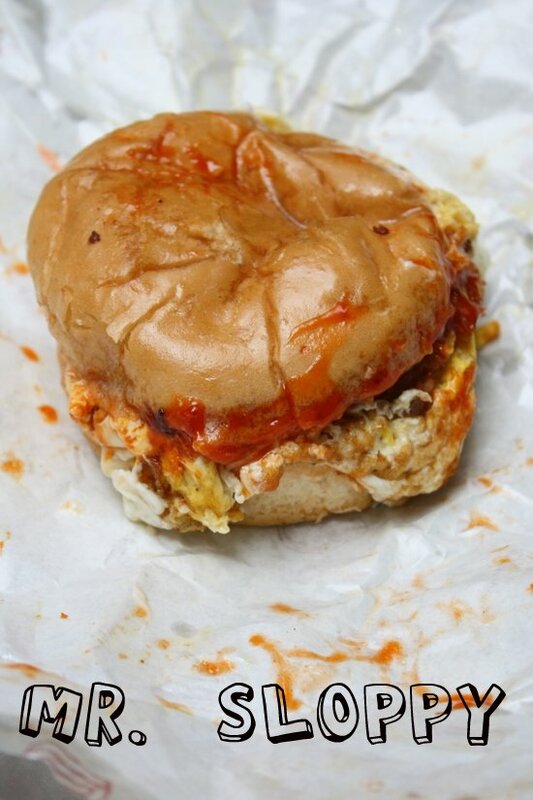 Moreover close ups on our food has hit another dimension. Get it now from Olympus shops since they're running a 10 week promotion till mid-July. Szigeti Gruner Veltliner - Austrian sparkling wine with well spaced bubbles. Contains floral and citrus notes. Astrolabe Pinot Gris 2009 - Pale straw yellow, spiced pears nose. sweet to the palate, spice and honied. Priced at RM105 per bottle. 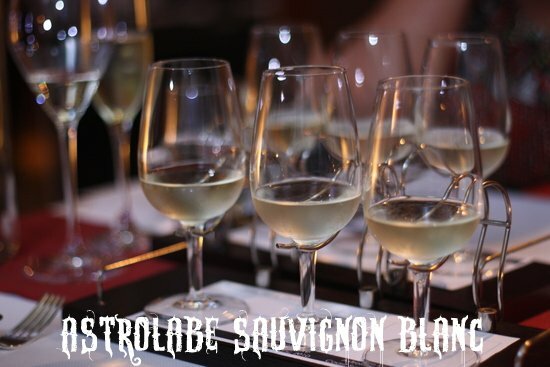 Astrolabe Voyage Sauvignon Blanc 2010 - Medium bodied wine with lemongrass, lime rind and elderflower flavours. Priced at RM105 per bottle. Astrolabe Awatere Sauvignon Blanc 2010 - Medium bodied wine with red capsicum, white currants, and gooseberry flavours. Priced at RM107 per bottle. Astrolabe Kekerengue Coast Sauvignon Blanc 2010 - Medium bodied dry wine with citrus rind and salty flavours. Priced at RM115 per bottle. 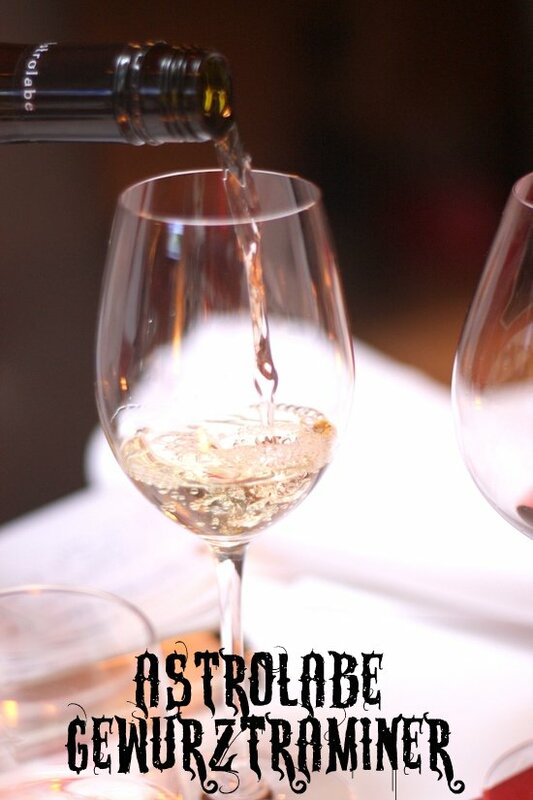 Astrolabe Chardonnay - Wine with ripe melon and dried stone fruit flavours. Astrolabe Voyage Pinot Noir 2008 - Full to medium bodied wine with savoury, ripe plums and cherry flavours and a hint of smoky oak. Priced at RM127 per bottle. Astrolabe Gewurztraminer 2009 - Medium to full bodied wine with turkish delight and rose petal aromas. Priced at RM123 per bottle. I'm always a big believer of sniffing out good food with some help of those who know best. Hence, when Chef Korn from my favourite Thai restaurant, Erawan (we just did a revisit for the umpteenth time and discovered more yummy dishes!) mentioned this place I knew I had to give it a try. I was told that there's links between this Section 17 place with the other Thai products market in Pandan Indah. This tiny space is primarily a store with goods laid out haphazardly but on the side they also serve up simple Thai fare like pork noodles (RM5) and a Northern Thai specialty, Som Dtam (RM5). Expect no frills, limited table space mingling with Thai voices gaily enjoying their country's specialties when they drop by to pick up supplies. There's a communal feel to the place especially when it gets crowded with a group of Thai women who seem to know each other. The pork noodles is quite similar to the Chinese version except the broth has a cleaner taste. 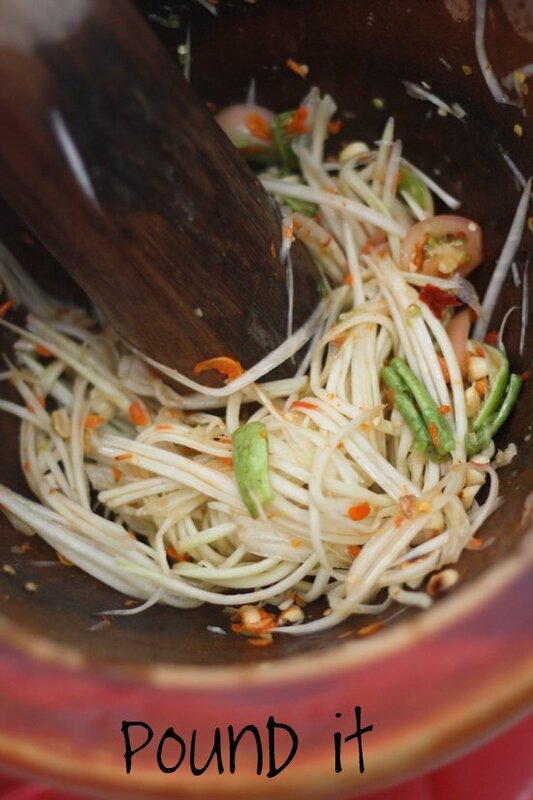 You add the Thai flavours by helping yourself to the condiments on the table like a dash of chilli flakes, a sprinkle of sugar and a shake of the fish sauce bottle. 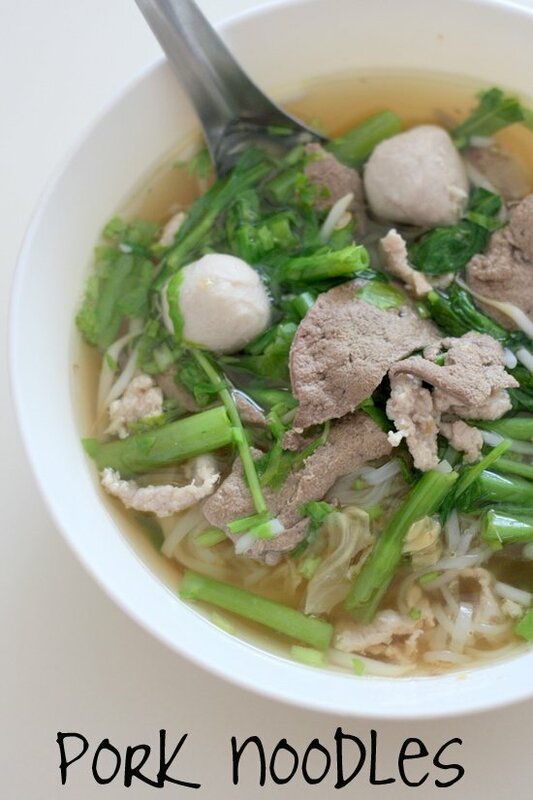 I slurp down my bowl happily since it includes my favourite silky smooth kuey teow noodles. 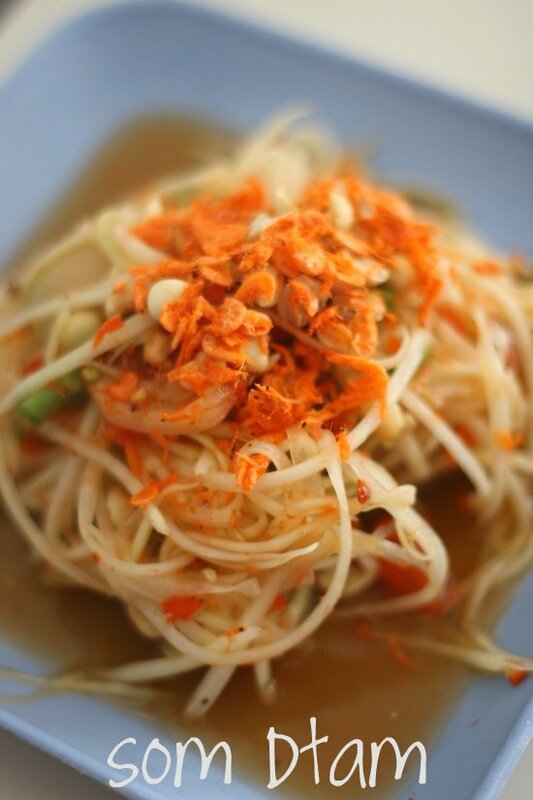 Since I didn't speak Thai and the owners weren't too fluent in English, I was a little lost on what else was on offer until I saw the ladies ordering Som Dtam or green papaya salad. Thud, thud...went the long wooden pestle in the clay pot as the lady prepped the salad. Everything is done once an order is made hence the salad was very fresh. She'll add a dash of lime juice, chuck in the lime halves to pound it further to let the aromatic oils to mingle with the shredded papaya. 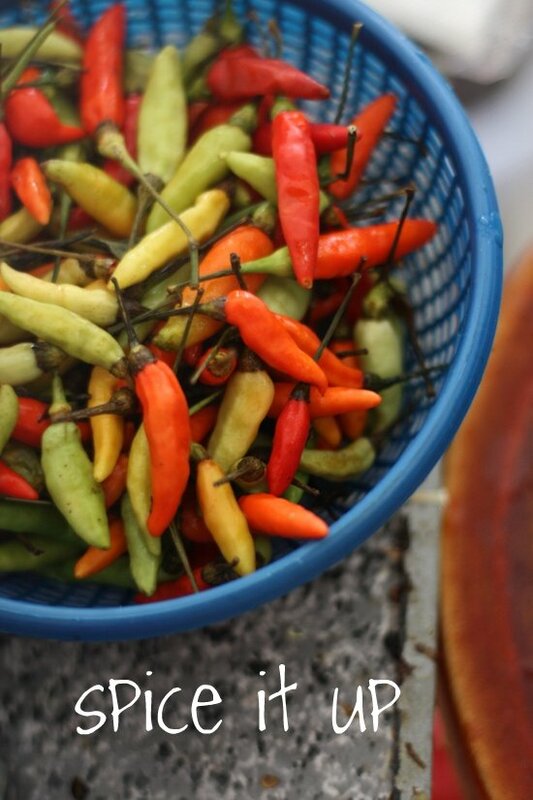 Chillies are added to your liking and you can even taste the seasoning halfway through the making of the salad to make sure it was to your palate. A dash of fish sauce, long beans, tomatoes, peanuts, a sprinkle of dried prawns and the salad is ready. 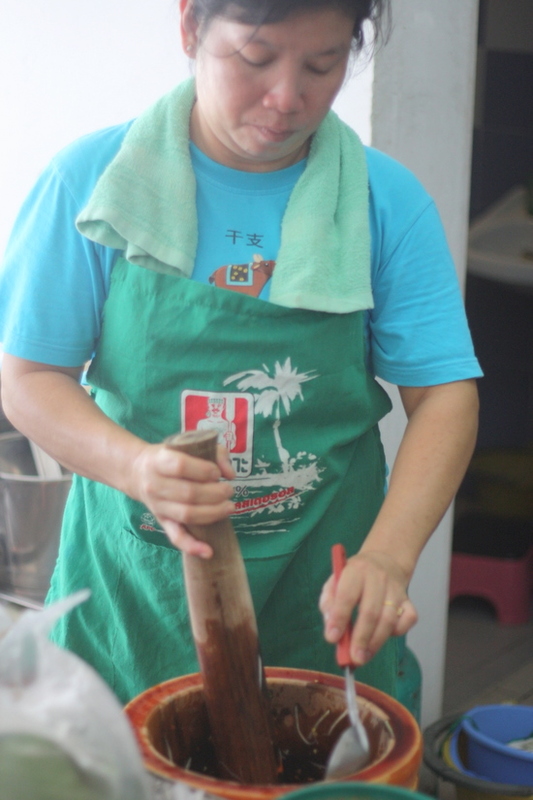 The whole pounding exercise helps the papaya soften and absorb the dressing. The Thai trinity of sweet-sour-spicy flavours are all in this salad, making you crave for a little more of the crunchy shreds. 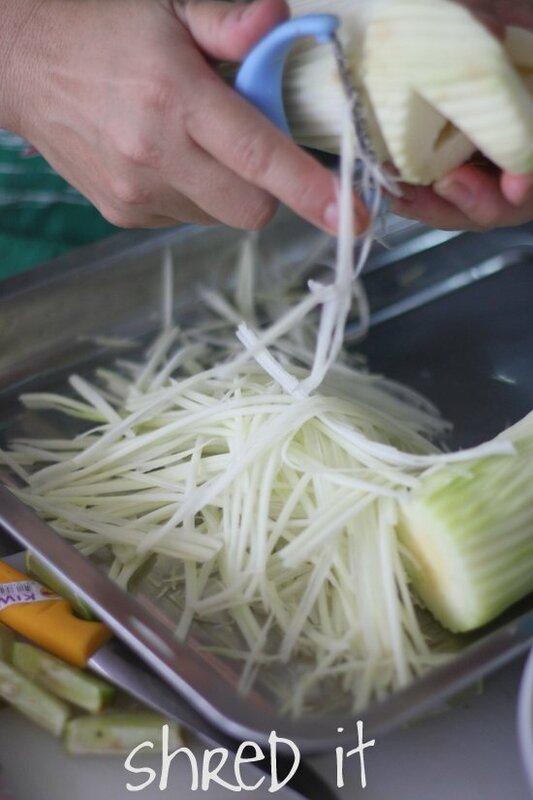 Aside from the salad and the noodles, you can also pick up these parcels wrapped in banana leaves that contain a banana stuffed glutinous rice dumplings. 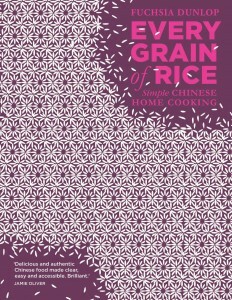 I admit I felt it was quite bland even though the rice was a nice soft texture. I reckon I'll stick to my noodles and the Som Dtam for my return visit. The place works on an interesting schedule, as they're only open for Thursday to Sunday, from 10am to 5pm. 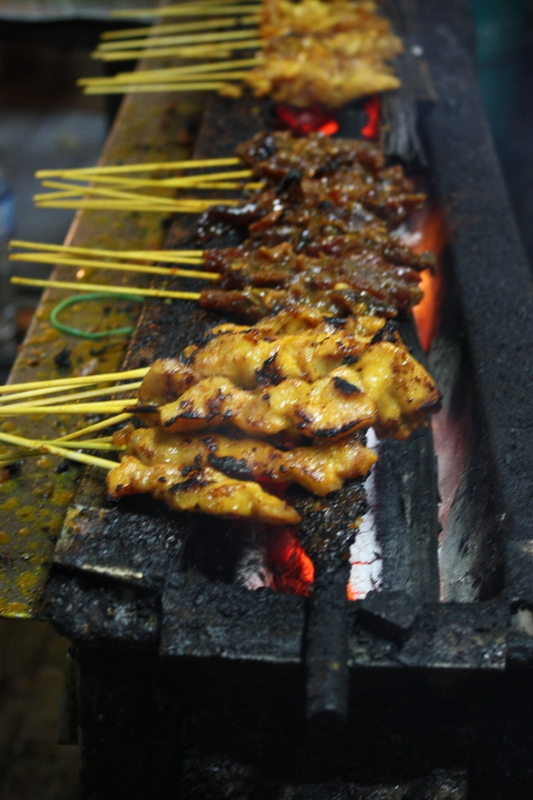 The rest of the time, the owners travel back to Thailand to source for their fresh supplies. 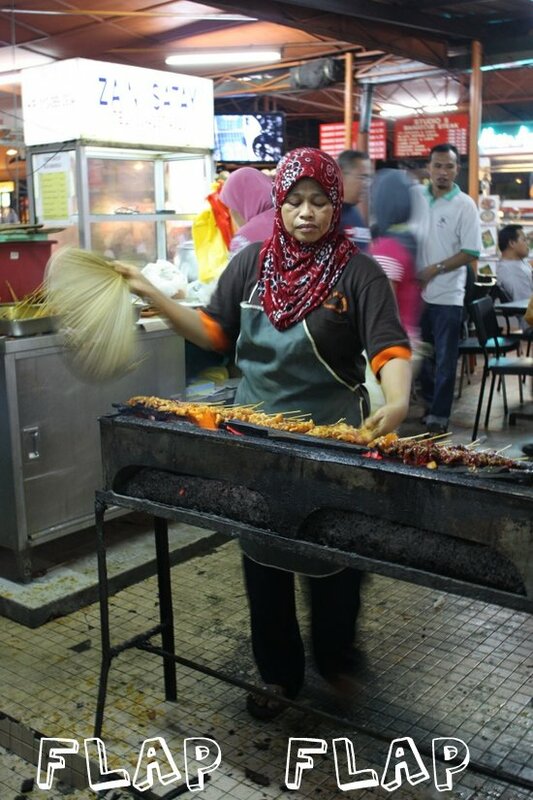 Usually their regulars know the schedule well and patronise them on Thursday to get the freshest vegetables. 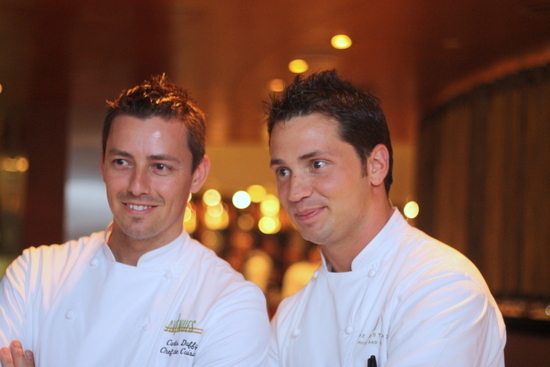 Visiting chefs are often a touch and go situation. Put them in a different environment away from their comfort zone aka their own restaurant kitchen and things seem to go haywire. Occasionally we get a rare incidence where the food tastes exceptional no matter what as the chef upholds his standards despite being a 1000 and more miles away from his hometown. I must admit I was blown away by Curtis Duffy's cuisine. He impressed us all with his harmonious flavour pairing with a touch of molecular gastronomy and his beauteous plating that made every creation a masterpiece. 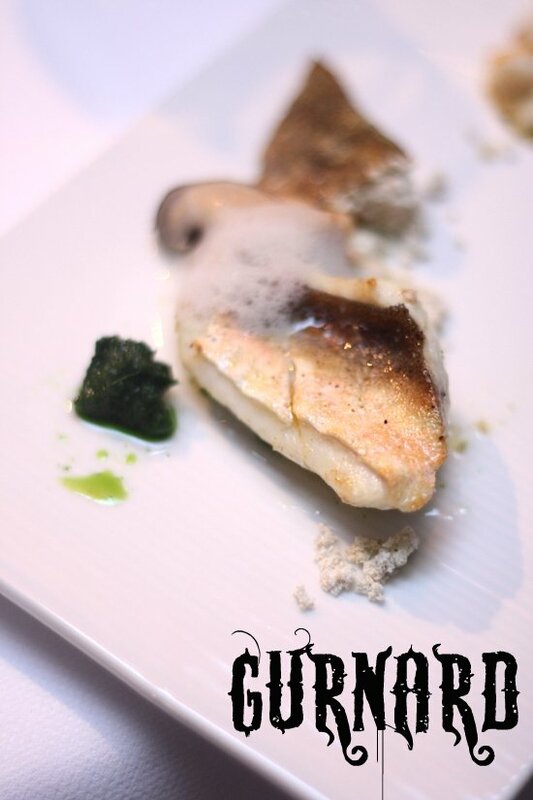 Even though he's pretty young, the chef had already chalked up a few accolades such as working with Grant Achatz at Alinea and subsequently moving on to Avenues, which was awarded two Michelin stars. Definitely a man to look out for in the future for greater things. I was lucky to get a double dosage of Duffy's food, a sampler taste from his cooking class and the full ensemble for dinner which I shared with good friends, the elusive Paranoid Android and the charming Aly's Wonderland. 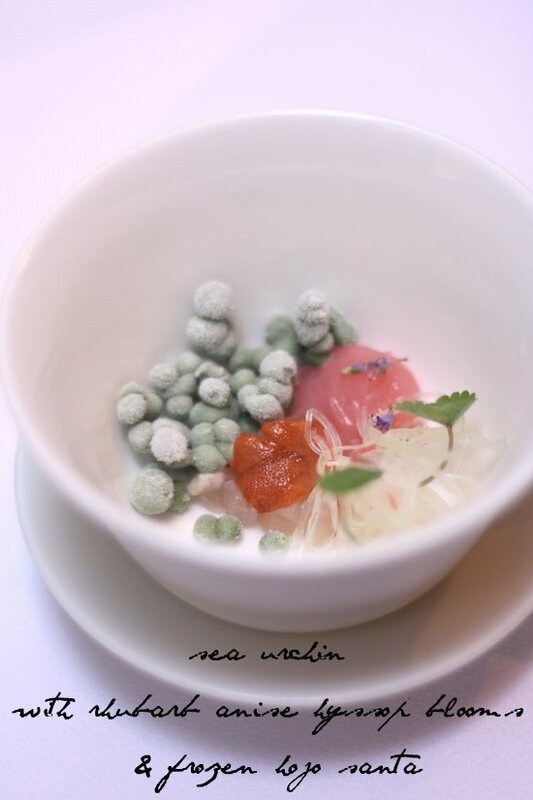 Dinner started off with a chilled amuse bouche that numbed the tongue a little since the green pellets were frozen. The flavours like anise hyssop blooms were a little unfamiliar to us except the umami-laden sea urchin but we all enjoyed it tremendously. 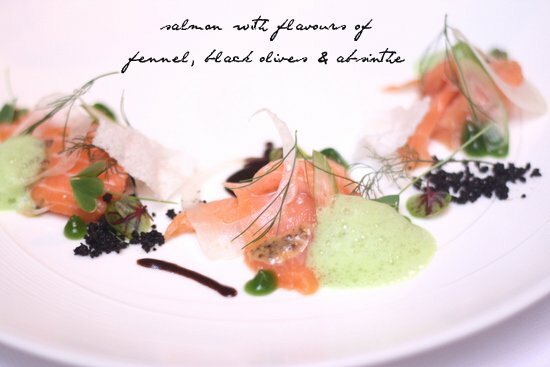 Subsequently, we were served the slow poached salmon cooked sous vide, a dish he had also demonstrated for his cooking class. It's paired with the liquorice like flavours of fennel in various layers - firstly an intense fennel sauce, followed by fennel fronds and the poached fennel slices. On the side were chopped black olives, a mustard vinaigrette and absinthe green foam. 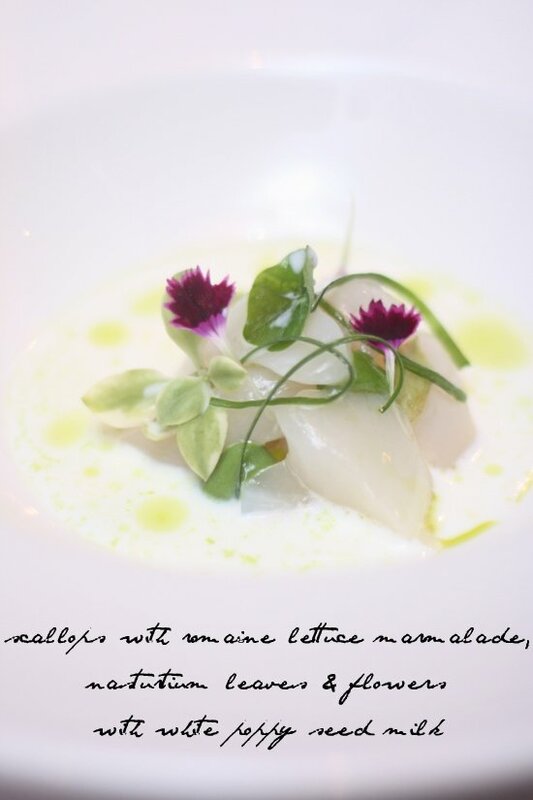 Next it was our big favourite of that night, the scallops served with a white poppy seed milk that was paired with a romaine lettuce marmalade and nasturium flavours in the form of leaves and pretty blooms. It's hard to describe this dish but the soft sweet scallops went beautifully with the creamy and slightly sweet hot broth extracted from white poppy seeds and the romaine lettuce marmalade. We all wished for more just like Oliver in the musical. The next dish was a familiar one for me since I also had it for lunch. A hearty wholesome dish named grains, seeds and nuts, this dish warmed our tummies with its protein rich ingredients. It's essentially a barley risotto with a layer of amaranth, quinoa crunch and a block of hazelnut oil in a form of powder. The dish comes with a sunflower seed broth. 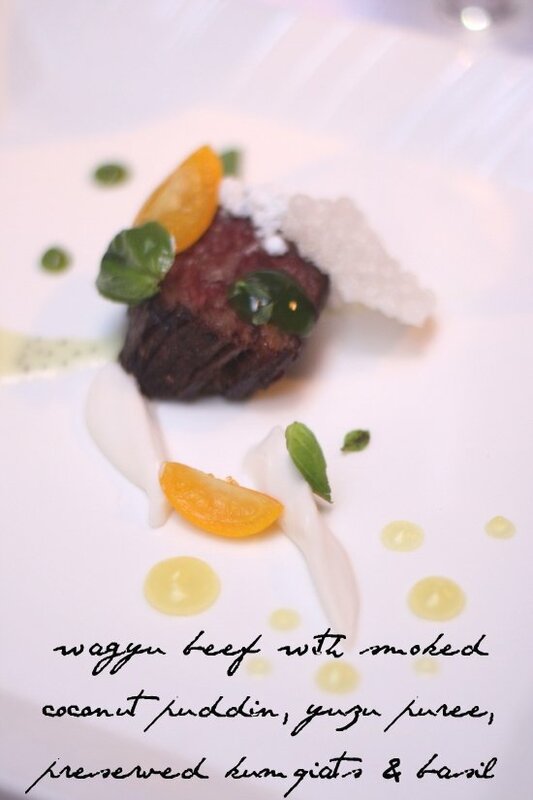 Finally, we reach our main course and on paper you won't expect coconut flavours to pair well with wagyu beef ribeye except in a rendang but this version works so well especially when it is paired with preserved kumquats and yuzu puree to cut through the rich creamy coconut taste. With a blink of the eye, our wonderful dinner was almost at the end. 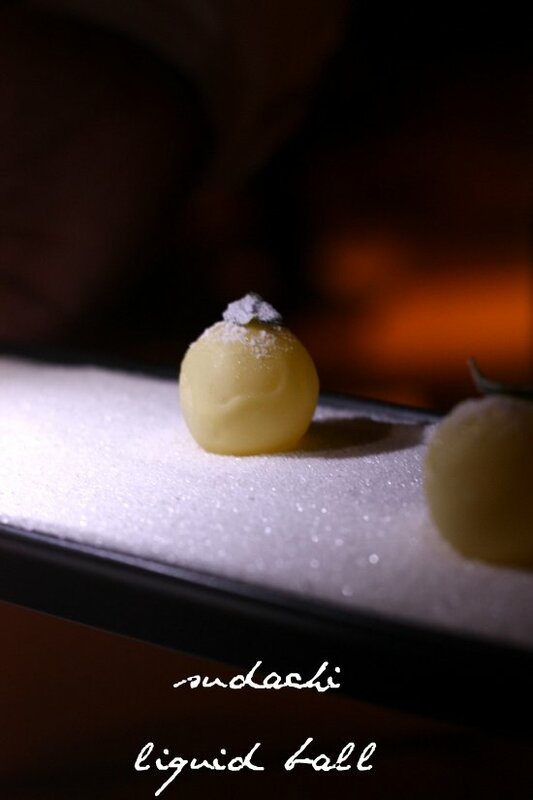 To clear our palate in a fun way, it was time for the sudachi liquid ball. Encased in a thin white chocolate layer, you pop one in the mouth and crunch down on the thin shell to let the tangy liquid out. It can be a shock to your senses like Aly's reaction, if you don't expect the liquid. I reckon this will be perfect party poppers to get the mood going. 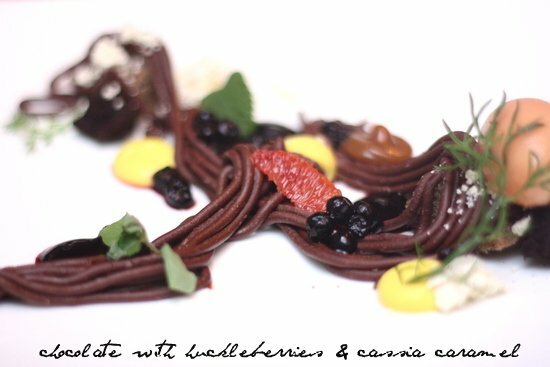 Last but not least was the chocolate ganache piped out like spaghetti strands. The rich chocolate taste is paired with a hazelnut financier, cacao rocks, an intense cassia caramel, huckleberries and stevia leaves. We were pretty lucky to also meet up Duffy and his sous chef, Steven that night since it was their last stint before they flew back to America. I also did my civic duty and took them over to Bayan Indah to introduce them to Rohani Jelani and her wonderful local herb garden. 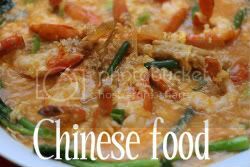 Hopefully there'll be some interest in incorporating local flavours in their dishes since Duffy loves Thai and Japanese flavours already. Who knows? Maybe the next time when you dine at Chicago's Avenues or Duffy's soon to open restaurant, you may find teh tarik sorbet mingling among bold American flavours on your plate.